In compiling my first list of great African American inventors, it was hard for me to determine who made the greatest impact on society. I knew that I'd miss someone. I also knew that there would be some great and still living inventors that I wouldn't mention. So, here we go. Cataract surgery is now one of the most common surgeries in the world. More than one million people get the surgery every year in the United States along. Thanks to one African American woman, that surgery is far less risky. in 1985, Dr. Patricia Bath invented a tool and procedure for the removal of cataracts. It's called the Laserphaco Probe and procedure. The Procedure combines the accuracy of an optical laser with an irrigation system and suction tubes. Before her invention the surgery was done manually with a mechanical grinder. Dr. Bath's personal belief is that everyone has the "Right to Sight." she personally was able to restore the "Right to Sight" for people who had been blinded by cataracts for 30 years. This next Inventor reminds me of the kids from the Goonie's with all the gadgets or the dad from honey I shrunk the kids. Marie Van Brittan Brown and her partner Albert Brown are credited with inventing the precursor to the closed circuit television security system (1966.) Think about that next time you hear the doorbell ring and check to see who it is on your tv. Brown's system had a set of four peep holes and a camera that could slide up and down to look out each one. Anything the camera picked up would appear on a monitor. An additional feature of Brown's invention was that a person also could unlock a door with a remote control. Dr. Mark Dean is considered one of the most prominent black inventors in the computer field. As a child, Dean excelled in math and even built his own computer, radio, and amplifier. Dean got a bachelor's degree in electrical engineering from the University of Tennessee, a masters degree in electrical engineering from Florida Atlantic University and a Ph.D. in electrical engineering from Stanford. He began working at IBM in 1980 and helped invent the Personal Computer (PC). He holds 20 patents including three of IBM's original nine PC patents. One of his most recent computer inventions --the 1-Gigahertz chip, which contains one million transistors and has nearly limitless potential. Lonnie G. Johnson is a NASA scientist who has worked on the Galileo Jupiter probe and the Mars observer project. 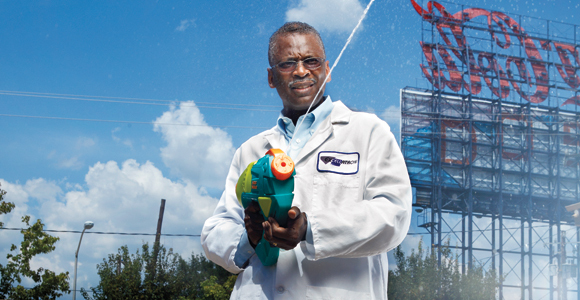 He has more than 40 patents but he'll be remembered forever on hot summer days by kids and kid-minded folks for the Supersoaker. He first came up with the idea in 1982, in his bathroom. He was experimenting on a heat pump that used water instead of Freon. That lead to the "Power Drencher" and later the Super Soaker water gun which was released in 1989. What did we do before that? (water balloons? effective but lame) Lonnie G. Johnson now has his own company, Johnson Research and Development, and continues to do work for NASA. 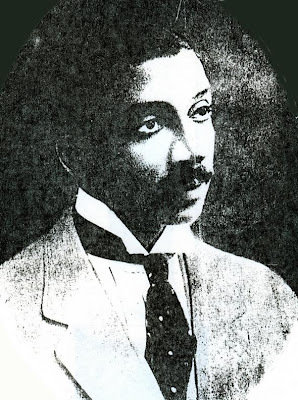 Richard Spikes is a little known, littler researched but highly successful and influential inventor. His beer keg tap was purchased by Milwaukee Brewing Company. The automobile directional signals were first introduced in Pierce Arrow, are now standard in all vehicles. He got over $100,000 to innovate the designs of transmission and gear-shifting devices. He had to create a drafting machine for blind designers before he could finish his work. He would be declared legally blind after making the Auto-brake in 1962 just before his death that same year.